Gloria Wekker is a Surinamese-Dutch anthropologist and professor emeritus in social and cultural anthropology at Utrecht University. She's known for her work about racism and intersectional thinking in the Netherlands and wrote many books. In 2016 she wrote a much talked about book, White Innocence: Paradoxes of Colonialism and Race, published by Amsterdam University Press. 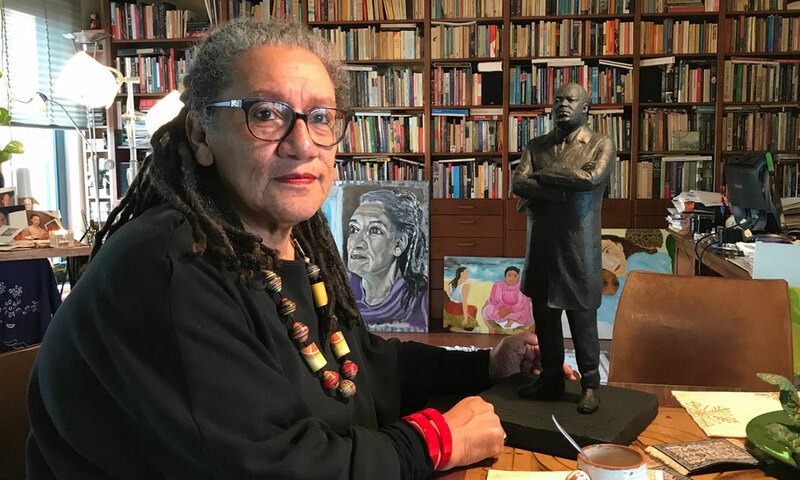 In 2017 she received the Joke Smit prize, because of her long-lasting fight to improve the position of black women in the Netherlands. Gloria Wekker is acclaimed to be one of the ten most influencial scientists in the Netherlands. She also got the Black Achievement Award in Science by NiNsee.